September 23, 2018, in Sherwood, Oregon, following a stroke 11 months earlier. After escaping Nazi Germany with his family, Hans settled in Portland in 1937. He graduated from Lincoln High School and then started at Reed, finishing his bachelor’s degree in biology at Washington State University, where he also earned a doctorate in veterinary medicine. Hans served as an officer in the coast guard before beginning a veterinary practice that spanned 50 years. He was known for his unwavering compassion—particularly if you had four legs and a tail. In the summer of ’63, Hans met Marilyn Klein, who was visiting from Los Angeles. Quickly smitten, they married four months later and raised two sons. Tragically, the youngest, Michael, was killed at the age of nine by a drunk driver. Hans and Marilyn built a home on a beautiful property on Sherwood’s Chehalem Mountains, where they bred thoroughbred horses and planted an expansive vineyard of pinot noir and pinot gris grapes. 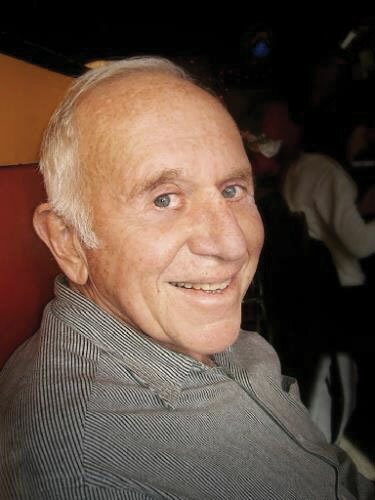 Hans took great pleasure in maintaining the land, tending his garden, and being outdoors, and his love for physical activity included skiing with his family and playing tennis, squash, and handball with his good friends at the Multnomah Athletic Club. He was an outgoing and opinionated conversationalist, and could often be found in the club’s fitness room socializing with pals. Hans and Marilyn traveled extensively but returned to their favorite spots every year, basking in the sun in Zihuatanejo, Mexico, and skiing in Sun Valley, Idaho. Generously contributing to his community, Hans served on many boards, including those of the Oregon Zoo, the Oregon Veterinary Medical Association, the Portland Veterinary Medical Association, the Washington County Board of Health, and DoveLewis Emergency Veterinary Hospital, of which he was a founding benefactor. He practiced his faith at Congregation Beth Israel. Hans is survived by his wife, Marilyn, and his son, Eric.